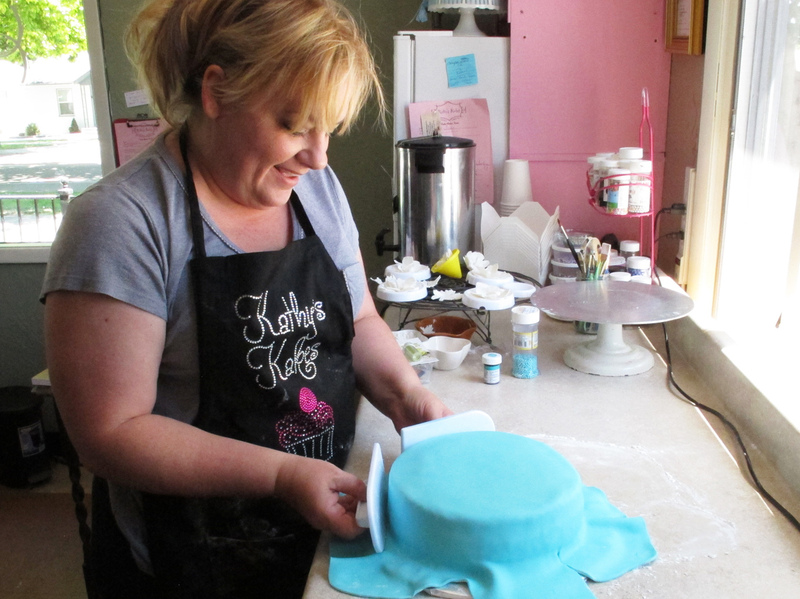 They Take The Cake In Boise, Idaho : Participation Nation Kathy Plaisance oversees Community Cakes, a group of 50 volunteer bakers who deliver homemade birthday cakes to people who might otherwise not have one. Sweetness: Kathy Plaisance and about 50 other bakers use their skills to bring sweet treats to people who might otherwise be overlooked. As Kathy Plaisance drapes blue fondant over a freshly baked chocolate cake, she explains that no child should have a cake-less birthday. Plaisance oversees Community Cakes, a group of 50 volunteer bakers who deliver homemade birthday cakes to people who might otherwise not have one — in veterans' homes, hospice centers and foster homes across southwest Idaho. Join Us Because WE WANT YOU! Plaisance tears up remembering the time she delivered a Superman cake to a boy in foster care. "He was ecstatic. He had never had a cake like that before," she says. "Those are the ones that get you, and make you want to keep doing it." Emilie Ritter Saunders is a reporter for StateImpact Idaho/Boise State Public Radio.